Proper maintenance is essential to maximize the life of any product, but when we are talking about roofing on your RV, which is a substantial investment, it becomes even more important. Don’t wait another day putting off the inevitable. 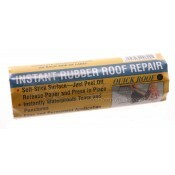 A great product to try out is the Dicor COOLCOAT Insulating Rubber Roof Coating. It is easy to apply and will save you money if you are a heavy a/c user. Tired of all the energy costs associated with running the a/c in your RV all summer long? Well, we have a solution. 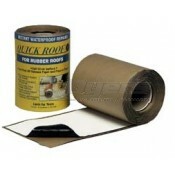 Apply the insulating rubber roof coating and see the difference. Notice the nice cool interior and enjoy. The COOLCOAT technology reflects and dissipates solar heat so your coach is nice and cool. Results may vary, but expect a 25%+ decrease in inside temperatures. Have a leak? We have everything you need to get that leak taken care of with minimal trouble. 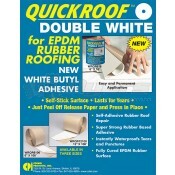 We have easy to use Quick roof repair kits. Just unroll the tape and stick it down where you have a leak. 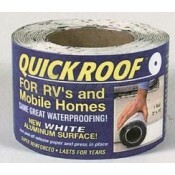 It is meant for use on flat roofs for RV’s, mobile homes and gutters. Now that leak can be fixed quickly and cost effectively. 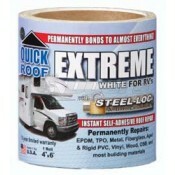 The Quick roof repair tape has 5 tear resistant layers so you can have confidence that your repair will last for years. 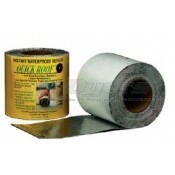 The repair tape comes in a number of different sizes to fit your leak. 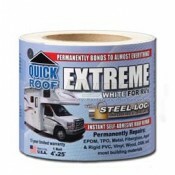 The Quick Roof Extreme adhesive can be used to seal almost any kind of RV roof and can even be used while the surface is still wet. You never know what to expect on the road and the last thing you want to do is be caught unprepared with a tear in your roof and no patch kit. Dicor Patch Kit Roof Repair is a must have for emergencies, as well as an inexpensive investment to keep your family secure in your travels. 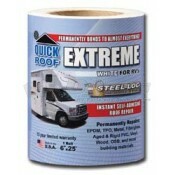 Check out Dyersonline.com we have everything you need for RV roof maintenance.